6 ¿Por Que Te Vas? Estudios: Jim Henson, Hollywood, CA. Rumbo Recorders, Canega Park, CA. Forster Sound, Hollywood, CA. Conway Studios, Hollywood, CA. Fantasy Studios, Berkley, CA. Puerta Azul, Guadalajara, México. Masterizado en Bernie Grundman Mastering CA. 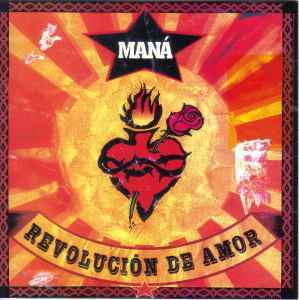 This release is different than <a href= http://www.discogs.com/Man%C3%A1-Revoluci%C3%B3n-De-Amor/release/1142187>Revolución De Amor</a> due to the extra text found on the label and back covers (this one has more). Also, the other release's back cover includes multimedia logos, this one doesn't.